Some of my best memories as a kid are going mushroom hunting with my Dad or a friend who knew more about foraging for food than I did. As a result, I have always loved mushrooms when added to my favorite recipes. Pizza, pasta, salads, deep fried, filled with yummy goodness, portobello, button, and of course, morel; you name it and I love ’em! Button and portobello mushrooms are easy to come by but the morel mushroom; well, that can be a bit harder. 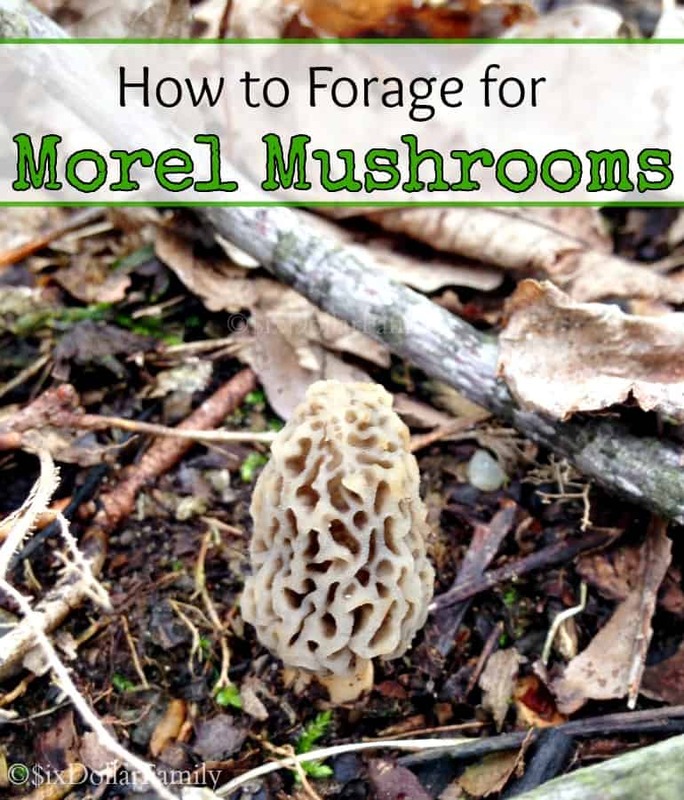 You can’t simply pop out to the grocery store to get them; instead, you have to forage for morel mushrooms! Yes, that’s right. You have to head out to the woods with a bag in hand to gather your supply or morel mushrooms if you want them! It might seem like a lot of work, but it is totally worth it! Foraging is a great frugal skill that I believe anyone should have and those that do have a level of self-sufficiency above those who don’t. 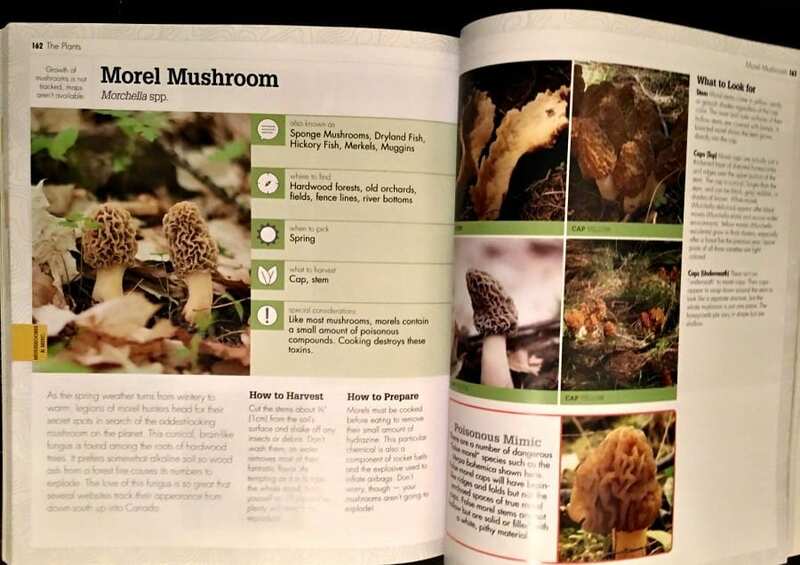 Starting with morel mushrooms is a great way to teach yourself the basic in’s and out’s of foraging so that eventually you can move onto other items that can provide food for your family. If you’re new to foraging, I highly recommend that you pick up the book “The Idiot’s Guide to Foraging.” It was written by a personal friend of mine and I was absolutely floored by how in depth and well put together it is. It not only includes photos of hundreds of edible plants, but also identifying information and more! I was thrilled when my copy came and I’ve used it several times since I received it! It goes with us anytime we go out to the woods so I can be sure that we’re not harvesting something that will harm us. It’s fantastic for learning how to forage anything that you might commonly come across! Not to mention that Mark “aka Meriwether” is a fantastic person who I’ve learned more than I ever expected from! Knowing when the best time to mushroom hunt is will give you a leg up on finding a good crop of morel mushrooms to forage. For most of the country, this means that March, April and May are the best months to start. You may be able to find them in other months but you won’t get as big of a return as you will during the spring months. Keep an eye on the temperatures and go the first chance you get. Morel mushrooms love warm days and cool nights since the fluctuation in temperature can really help them grow. Start hunting when temperatures are about 70° F or higher during the day and drop to around 50°F at night. Any colder or hotter and you’ll find them but they won’t be sprouted as well as they could be. The perfect soil temperature for morel mushrooms is about 45° F. Once the soil hits this temperature it is safe to start looking. Anything colder will make it difficult for morels to grow, so it is important you keep an eye on soil temps to be sure you aren’t wasting your time. If you’re unsure what the temperature of the soil is in your area, picking up a soil thermometer can be a huge help. Morels love growing on slopes and hills, especially if that slope or hill is facing the sunrise. This means that slopes, hills and rises are a great place to start foraging for morel mushrooms. If you come across any while you’re out mushroom hunting, be sure to check them over well since morels grow very well in these areas. I would feel badly if I didn’t warn you to please be careful when climbing around on slippery slopes and hills. Always wear solid hiking boots and use a walking stick if you’re unsure about your ability to keep your balance while on a hill. Okay technically morels only love moisture, but aside from the morning dew, a good rain is the best option that the plant has for getting great moisture. A good rain followed by a warm day really helps morels grow so if you’ve been having a hard time finding them, wait until you get a good rain in your area. Try hunting the day after the rain and you will very likely have even better luck than before. If you can wait after a rain until you have a few warm days in a row, your luck will be even better! While morels can grow anywhere, they really love to grow around the base of ash and elm trees; especially around the bases of dead or dying trees. Make sure that if you come across any of ash or elm trees in your hunt that you check really well around the base. Chances are good that if the weather conditions are right, you’ll find a few morels. Morels tend to grow in groups, so if you see one, be sure to check the area for more. You’ll likely be able to find two or three more at a minimum and may get even luckier and find a whole patch. Just be sure to pay attention to the next tip so that you can return to the same spot next year! Speaking of, one of the things that I’ve always liked to do is to take a small map of the area with me or a waterproof notebook so that I can make a note of any good hunting spots we come across. It makes it much easier to come find them the following year. I see a lot of folks who have gone mushroom hunting that simply grab the morel and rip it out of the ground roots and all. Don’t do that. Instead, use a sharp knife to cut the mushroom off at the base and leave the roots planted. By doing this, you increase the chances of the mushroom regrowing meaning you can come back and reharvest it next year! You don’t need a super expensive knife. I personally use a Morakniv knife when I go hunting (or whenever I need a good knife period). It’s a $15.00 knife that I use on a daily basis that has lasted me for well over 3 years at this point. And yes, mine happens to be pink. You’ll need to carry your mushroom bounty home and there are a lot of ways you could do that. I personally recommend though that you use a mesh bag. By carrying your morel mushrooms in a large mesh bag, you will be helping to scatter the spores on the ground as you walk. This is almost a surefire way to help ensure that the morels will return next year meaning you’ll have another great harvest! 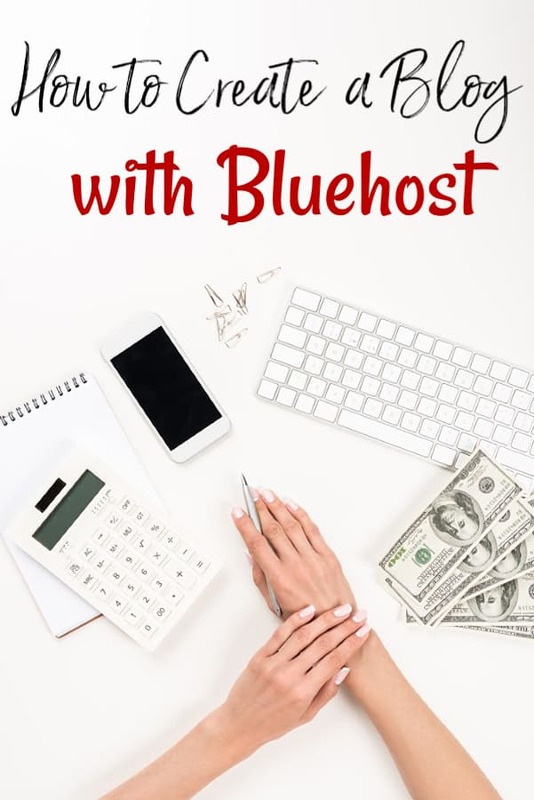 *I received a free copy of the book “The Idiots Guide to Foraging” in 2016 when it was published, however, I really do recommend the book and make no money off of my recommendation. Mark is extremely knowledgeable about wild edibles and I am 100% confident in recommending his book to you.